Passport is an official document issued by the Indian Government, authorizing the passport holder’s identity as well as citizenship. With this document, you are certified to travel under its protection to different countries. Normally, a passport should be secured very well by every individual as if stolen or lost, can cause bad incidents in anyone’s life. It is mainly because passport has many important details about each individual such as name, place and date of birth, photograph, signature, address proof, unique passport number and other important details. It even comes with an expiry date. So you need to re-apply for passport renewal at the city passport office. Every time, you travel abroad, your passport will be stamped. 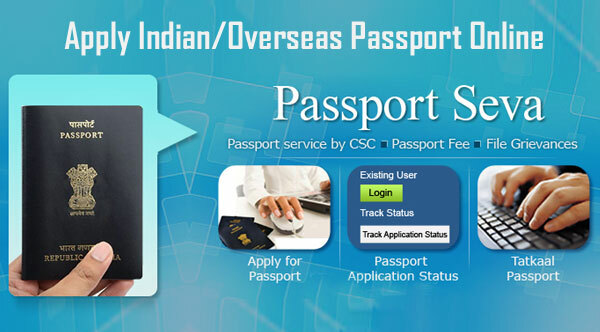 Even VISA would be mentioned on the passport pages so it has been maintained well. How to apply Passport in Kolkata, Asansol, Siliguri, Durgapur, West Bengal. Fill in the required details in the form. Verify the information and click on Submit. Click on “pay and schedule appointment” link on the “View Saved/Submitted Applications” screen and schedule your appointment. Online payment is now mandatory. You can pay via Credit/Debit Card, Internet Banking and SBI Bank Challan. Click on “Print Application Receipt”. Your given mobile number will be sent an appointment message with all details. Visit the Passport Seva Kendra in your city where appointment is booked on your given time with all original documents and passport size photos. You need to go to Passport Seva Kendra. He will give you an application form at a cost. Fill the form correctly with no spelling mistake. Also double check the age.Attach Residential proof, ID proof and photo ID. You need to even submit income proof and age proof of the head of your family. You will be given an appointment slip as per your preferred time. Visit the same Passport Seva Kendra on the appointment time when you need to carry all original documents. All your documents shall be verified one by one. Biometric like iris scan and fingerprints shall be taken. Lastly, a slip will be given with a unique application number. Keep it handy for passport status!